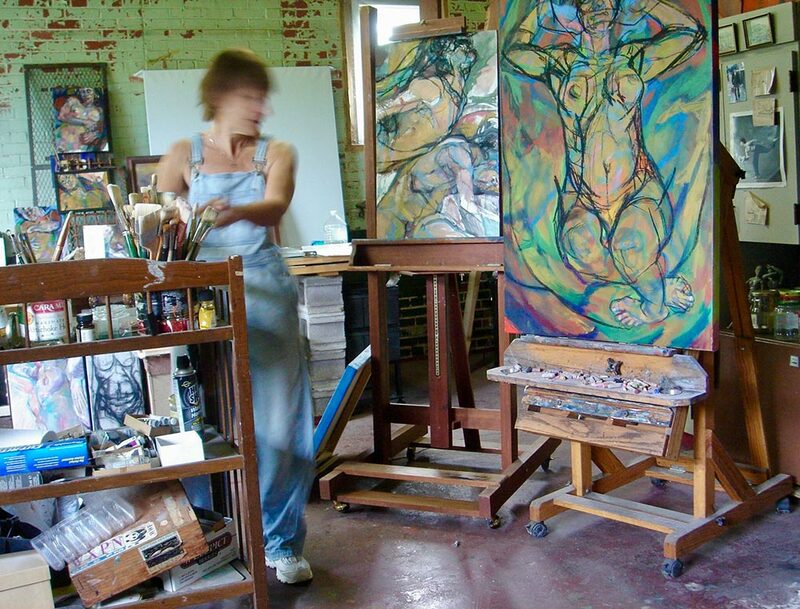 My peripatetic art education started when I would take the train from New Jersey into Philadelphia to take life drawing classes at Philadelphia College of Art (now, The University of the Arts) at the age of fifteen. After high school, I headed south to Auburn University in Alabama to become a Visual Design major. Then, it was back up to Philadelphia for a degree in Fashion Illustraton at Moore College of Art. In search of the old masters, I went overseas to attend the Universita der Stranieri in Perugia, Italy. And, upon return, I studied painting at the Pennsylvania Academy of Fine Arts, once again, in Philadelphia. In 1995, I landed full circle back in Alabama. I was fortunate to become quickly affiliated with Artomotive Gallery. This opened many doors for me in terms of showing my work and leading me to my current situation as an invited member of The Artists of the Thomas Project. As such, my studio is located in a historic industrial site known as the Thomas Cokeworks which was founded in 1879 here in Birmingham. It is a gritty, visceral place. It has afforded me my dream of working from life with models in my studio and provided the platform to participate in shows locally and elsewhere, most recently in New York City. For more details about The Thomas Project, visit thomasproject.org. My current series of work, necessarily abstract, is an amalgamation of all the images, colors, and perceptions of this place and all the places that brought me here.